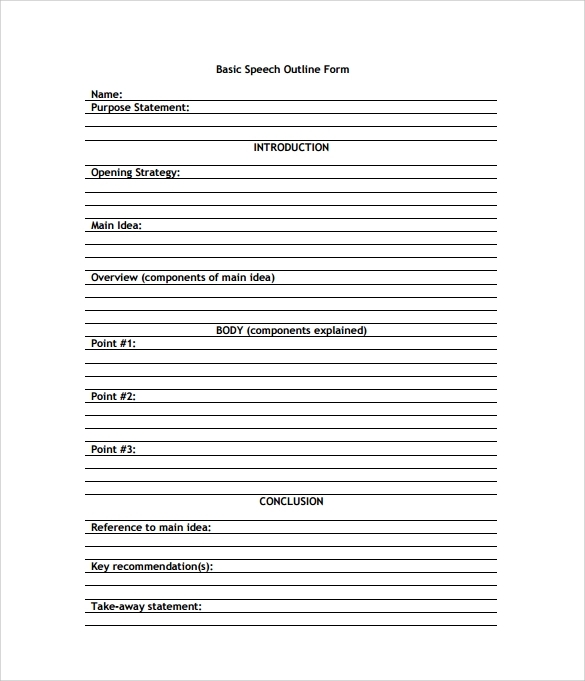 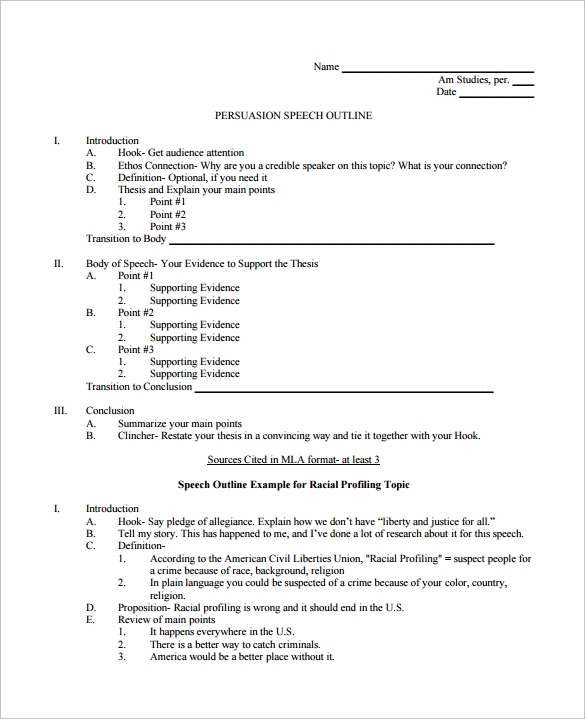 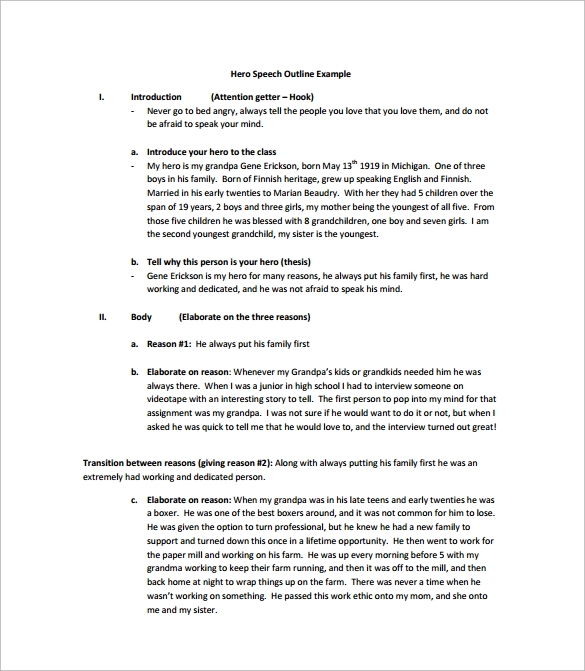 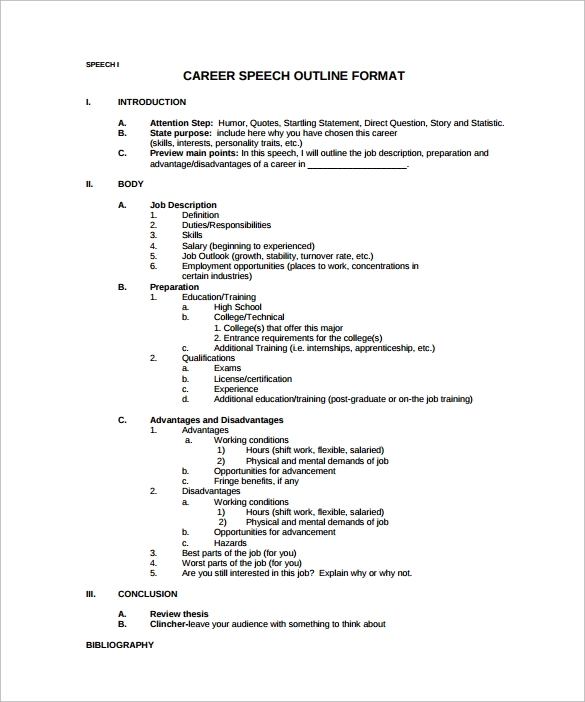 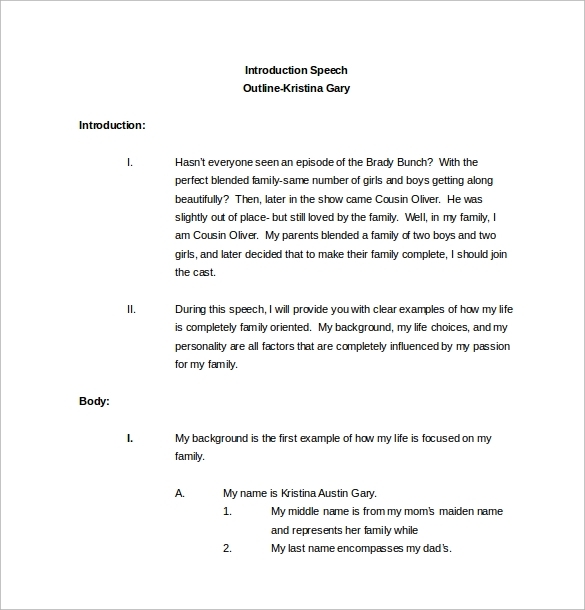 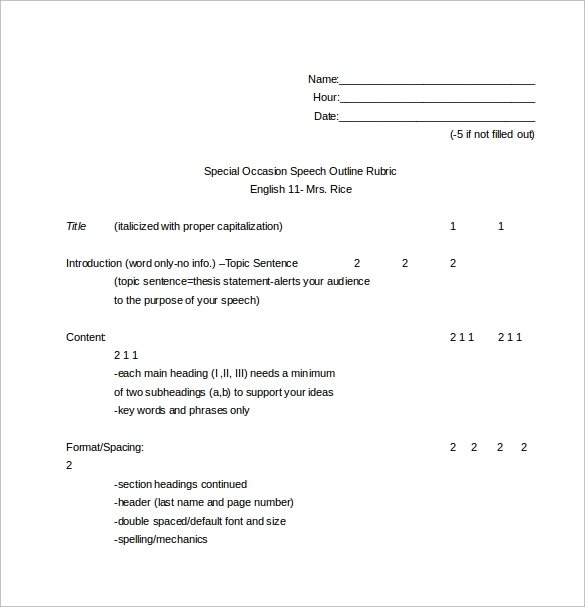 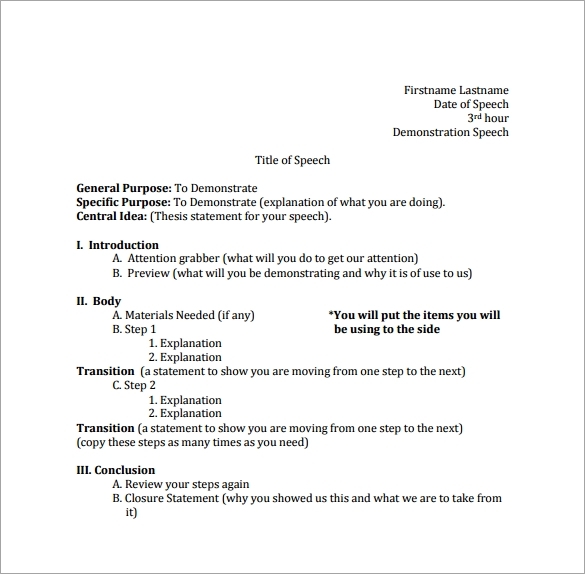 A speech outline template is the most effective template for making a speech. 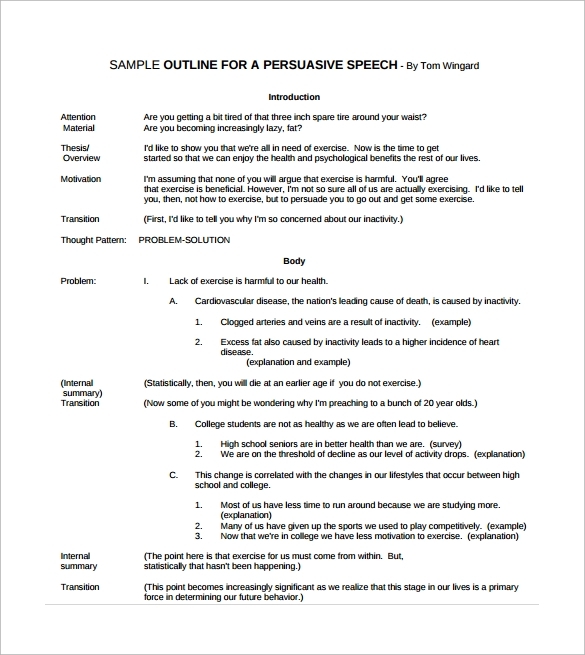 The main purpose of creating this kind of Speech outline template and Essay Outline Template is to help people construct their own ideas in an organize approach and the way it will be speak at the stage in front of masses. 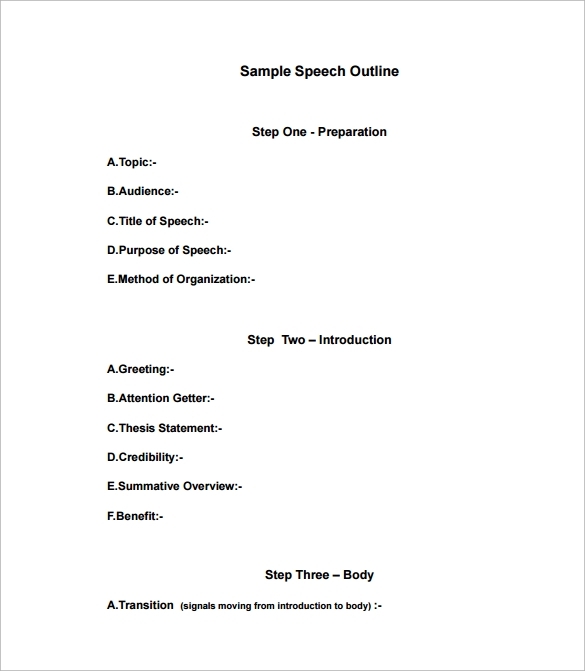 This can be utilize by any kind of people whether for their personal or professional work.This is helpful and highly recommendable for the students when they have their speech such as declamation, reports and the like.Such template for speech will provide the correct format, structure and outline of the speech where all you need to do is to state the important details of your subject matter in a well presented and understandable manner. 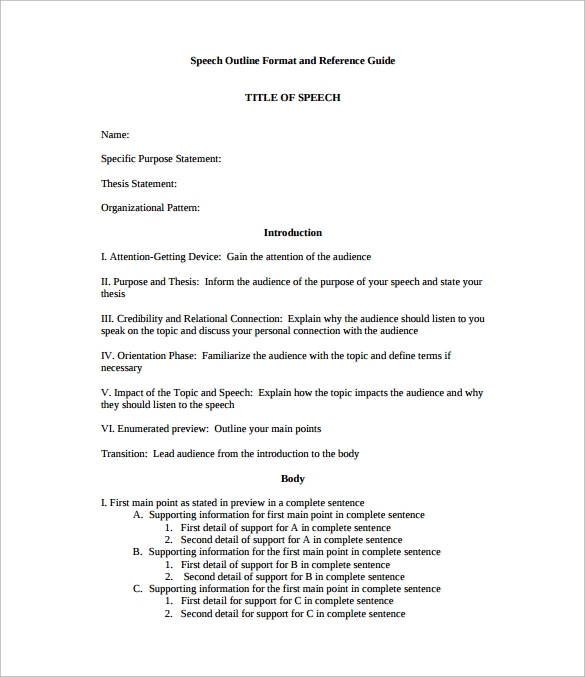 The template for speech is created to give more advance and benefit such as time saving, cost saving, accessible and convenient to use.